Forget gift shops and department stores. 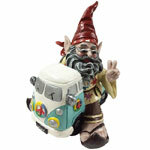 Our selection of funny garden gnomes includes everything you need for your gift list. 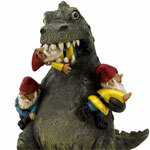 GardenFun has outrageous and wacky gnome statues for any occasion and for everyone you love. 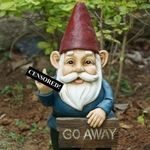 This Christmas, make GardenFun.com your one-stop gift shop with these famous and hilarious garden gnomes. 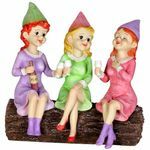 Solar Gnomes "Girls Night Out"
Our Travelocity gnomes are always a favorite among those who love adventure. 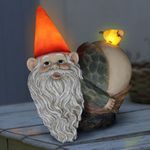 These familiar gnomes will remind you to keep traveling and roaming, just like your Travelocity gnome. 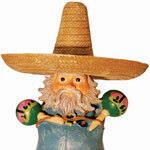 Our Travelocity Mexico gnome comes with a sombrero and maracas, ready for any fiesta. This 9.5-inch will keep you feeling warm during the winter. 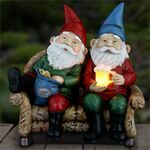 Our snorkel and sunglass Travelocity gnomes are made to keep indoors or outdoors in your garden. Use these as unexpected Christmas decoration. Everyone needs a bit of summer fun during winter�s cold. 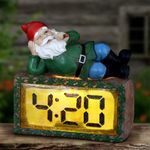 The snorkel gnome is 9 inches tall, while the sunglasses gnome measures just 7.5 inches in height. 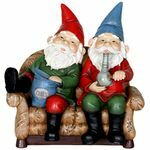 Prepare for the holidays with funny garden gnomes from GardenFun. 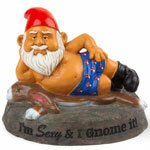 Our Valentine�s Day cupid gnome is a fool-proof way to say �I love you� this year. Each adorable cupid gnome comes with a bow and heart arrow, ideal for love-struck couples. 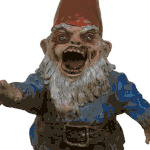 Don�t forget our Shalom Gnome this Hanukkah. 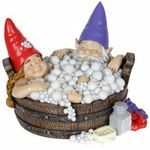 Since each of our gnomes are made with a weather-resistant resin, you won�t have to worry about chips and fading. 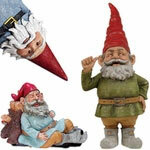 These funny lawn gnomes will last for years to come in their new indoor or outdoor home.